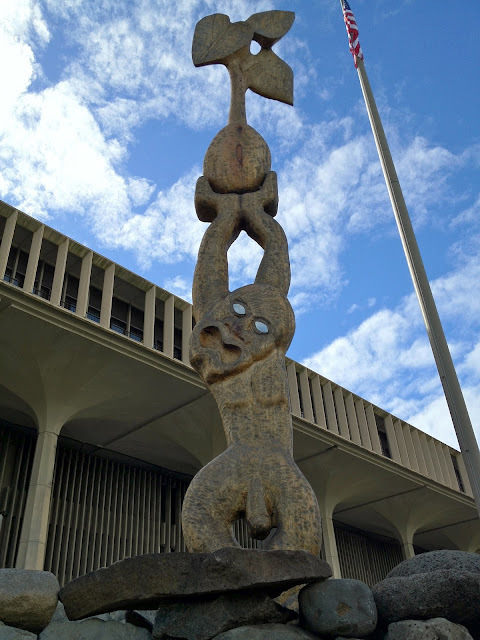 Today Walter Ritte of Moloka‘i, Hanohano Naehu and crew erected a ki‘i of Haloa on the grounds of the Hawai‘i State Capitol. I live streamed it, then excerpted a bunch of interviews. I Youtubed them to keep those intrusive Ustream ads out and embed the interviews them all here for reference, documentation, and your viewing pleasure! And I don't know why Walter Ritte's embedded Youtube is bigger than the others. Really. For real kine. Come check this out in person on February 21, 2012, at 12.30pm. Just say no to GMO! 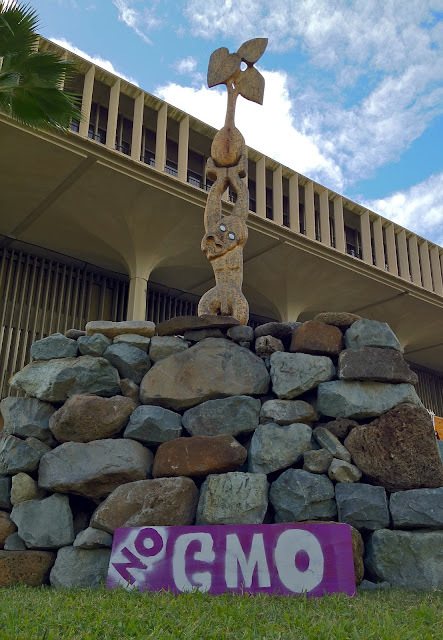 GMO has got to GO! 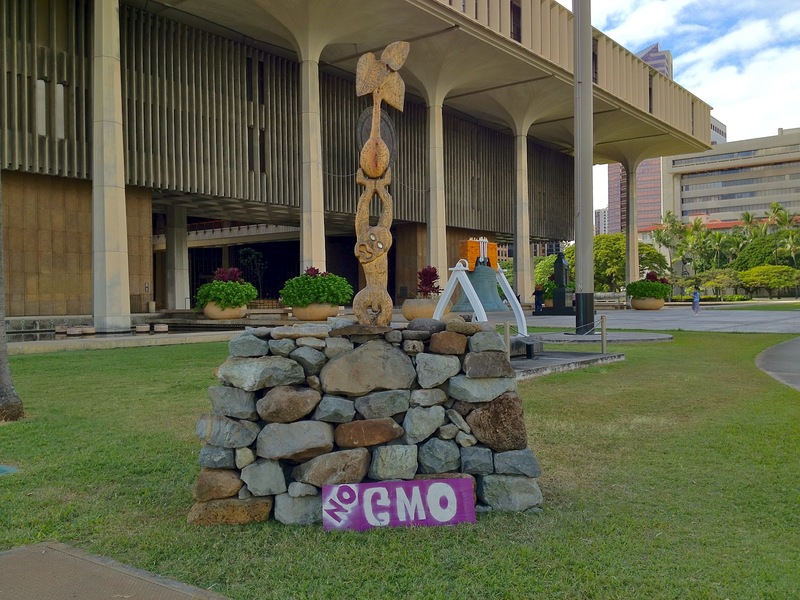 Label GMO or NO GMO!